1. Prof. James Dele Olowokudejo, a Professor of Plant Taxonomy, - Distinguished Professorship award. 4. 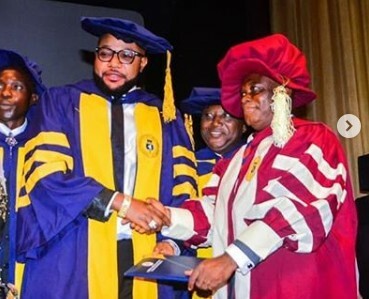 Dr. Daniel K. Olukoya, founder of Mountain of Fire Miracles Ministries and a Molecular Geneticist - Honorary Doctorate Degree (Honoris Causa) of the University. 5. Mr. Jim Ovia, founder and Chairman of ZenithBank - Honourary Doctorate Degree (Honoris Causa) of the University of Lagos.